Radio has been used in education since the beginning of last century. With the rise of the internet, web radio came into life and provided new possibilities for web radio content (e.g. video apart from voice and music), asynchronous broadcasting, and cooperation between students from different schools. In this paper, we present a survey study that aimed to evaluate a Visual Learning Design (VLD) approach for developing educational scenarios in web radio. The study results indicated that the VLD approach helped teachers to think about the educational aspects of the web radio production and helped in communicating their ideas. Moreover, the teachers highlighted the possibilities and the impact such web radio implementations could have for student learning and collaboration. The only aspect that received some criticism was the provision of technology, and this was partially due to the lack of previous experience in web radio production. These results will guide the application of the VLD approach in a bigger scale. 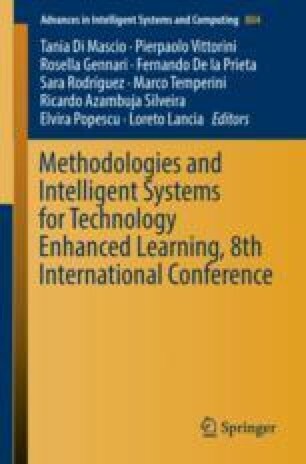 The research presented in this paper was conducted under the “NEStOR: Networked European School Web Radio” project. This project is funded by the Erasmus+ programme of the European Commission. The European Commission support for the production of this publication does not constitute an endorsement of the contents which reflects the views only of the authors, and the Commission cannot be held responsible for any use which may be made of the information contained therein.